kfgn has over 20 years’ experience conducting clinical trials in Phases Ib to IV. We have expanded continually to become an expert partner in this field and now look back on over 700 successfully completed projects. 30 to 35 clinical studies are conducted at our sites each year. Our staff are specially trained in trial execution and all sites have access to standard diagnosis methods. We take the time needed to inform, advise and examine our patients. This enhanced spirit of trust and cooperation generates high patient loyalty and therefore helps improve security and compliance among study participants. With our outpatient sites – currently at six locations – we have established and continually amassed a wealth of valuable experience over the course of several years. This enables us to transfer our expertise to any required clinical trial setting. No matter whether your project is conducted at a physician’s office or in an inpatient environment, we are the right partner to guarantee the success of your project. Our organization of research sites with associate medical specialists and clinics gives us the flexibility and network we need to map any clinical trial indication. With our expertise, we can work fast, efficiently and to a high quality standard. Our research sites give you access to specialized, experienced study teams and state-of-the-art technical facilities. 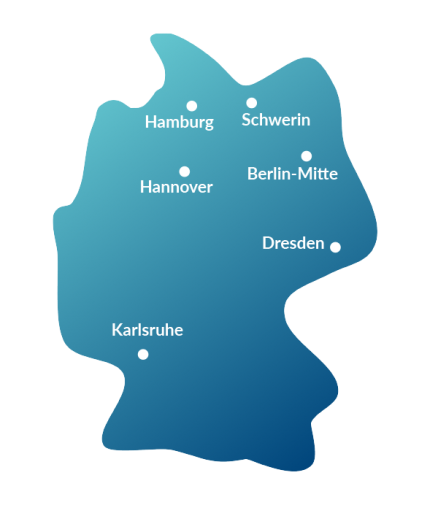 These sites are located in Hamburg, Schwerin, Hanover, Berlin, Dresden and Karlsruhe, establishing a presence in regions with dynamic growth throughout Germany so that we are easy for our clients as well as our patients to reach. We are equipped with the personnel and the technical know-how to conduct trials at clinical level. Our longstanding experience is coupled with a patient database which has evolved over time and currently comprises more than 50,000 registered patients as potential recruits. 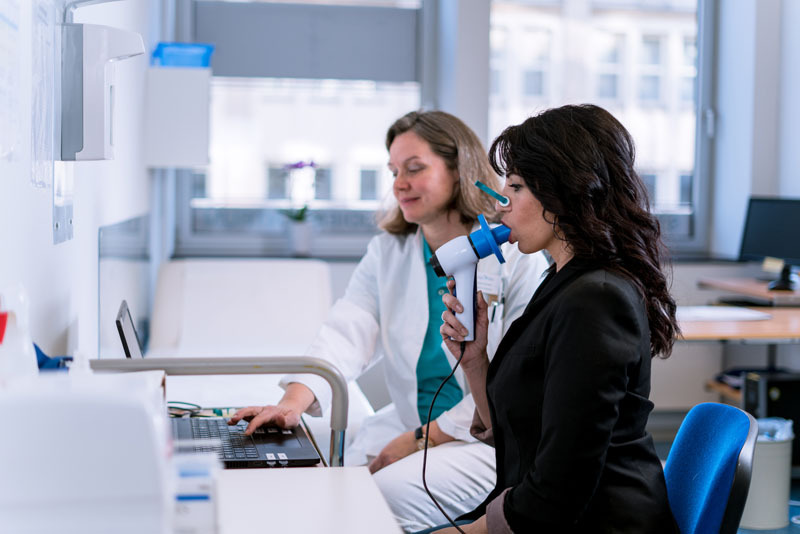 The increased time spent on organization, documentation and training for clinical trials means that many physicians choose not to conduct clinical studies alongside their day-to-day medical duties. They do so despite their own interest and the fact that the patients they treat need and are interested in participating in a clinical trial. We make it possible to tap this potential by assigning associate physicians to our research sites. In doing so we relieve doctors’ offices of all activities that could lessen their motivation to participate in studies, providing them with flexible staff capacities that have the requisite experience and specialist know-how. With this all-in package combining site operations with service we guarantee optimal organization and coordination for project execution. All trials are conducted in compliance with kfgn quality standards. Our clients’ projects enable us to give medical specialists prompt access to cutting-edge medical treatment strategies with minimum effort alongside their day-to-day duties. 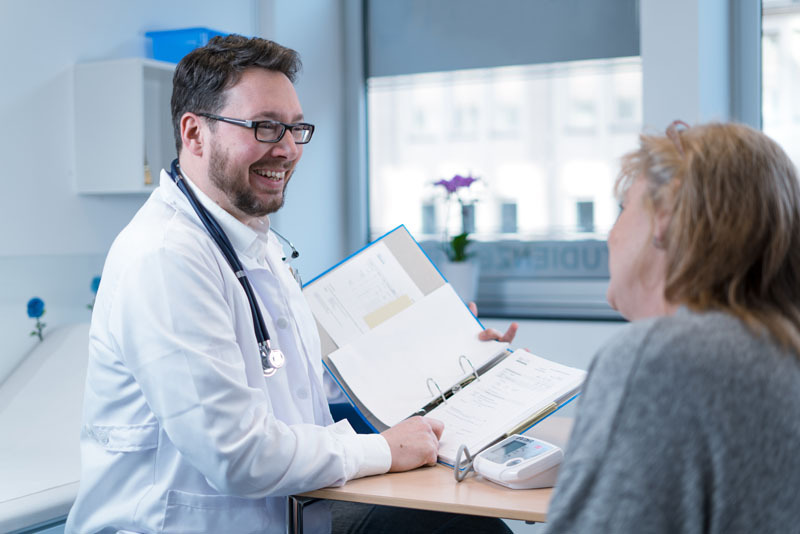 At the same time, the trust relationship between doctor and patient is maintained, since patients can be treated in a familiar physician’s office setting. One of the main settings for clinical trial execution is at the clinics themselves. 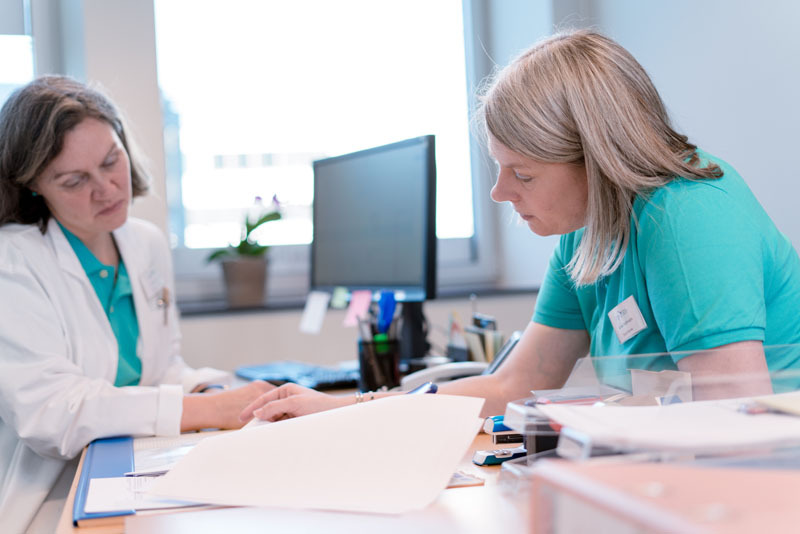 Due to routine workflows in day-to-day hospital work and the patient admission process, however, clinical trials and patient recruitment are often given lower priority in an inpatient setting. The necessity to take a prompt decision on treatment and the availability of effective alternatives means that the option of including a patient in a clinical trial is not always considered. Our staff’s know-how and vast experience enable us to close this gap and generate effective synergies between inpatient and outpatient research. We raise awareness for specific situations and help clinic physicians select suitable patients. 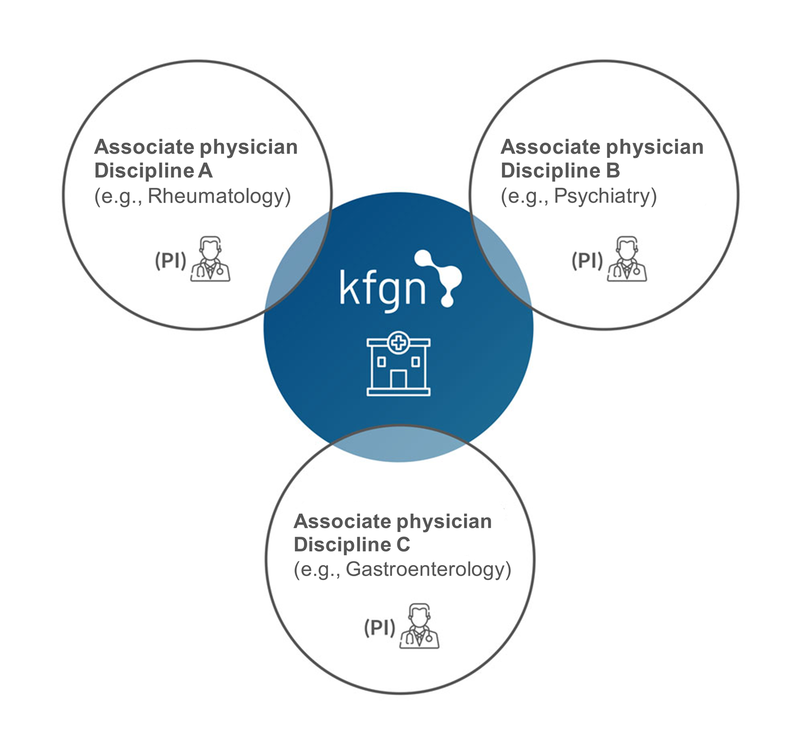 Our end-to-end service makes it easier to coordinate and organize projects in a direct inpatient environment, with kfgn staff guaranteeing that studies are conducted to a high quality standard. 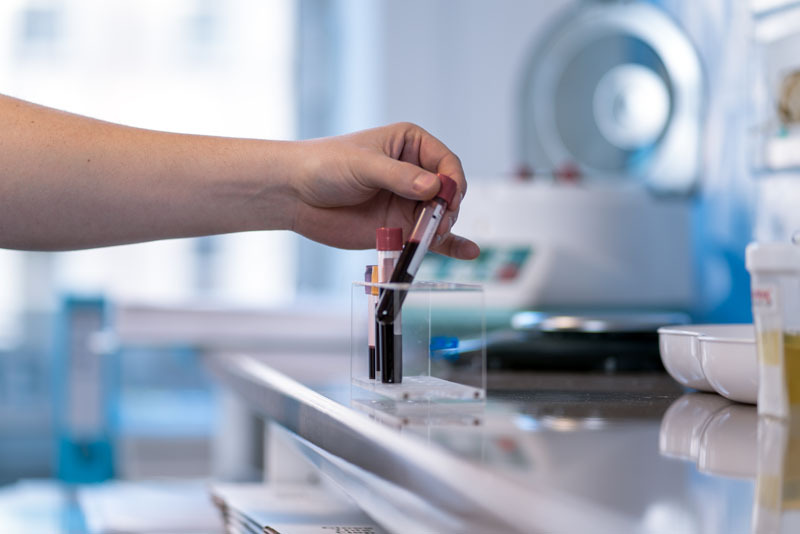 Once patients have been admitted to clinic routines, we can guarantee long-term further outpatient treatment at our clinic research site for the duration of a study, based on the requirements of the clinical trial protocol. Trials are always conducted in compliance with kfgn quality standards. Our annual internal audits and quality circles guarantee maximum data quality at all times.